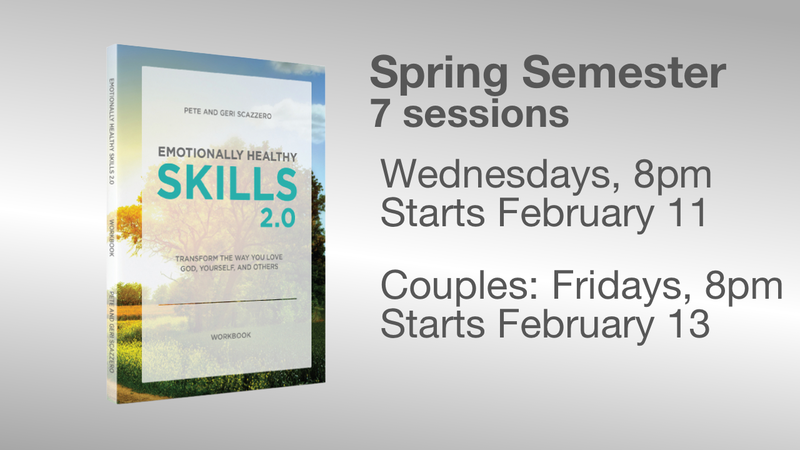 Whether it’s navigating the workplace or the classroom, relationships with roommates or friends from church, Emotionally Healthy Skills are essential. This is a required course as part of our Leadership Development Plan. 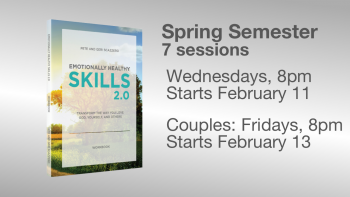 Come laugh, make some friends, and learn these valuable skills (this is a 7-week course; Couples course is for couples who are marriage or engaged to be married; $10 for workbook).